Military intervention in Syria is unacceptable even if it aims to create an air-protected humanitarian corridor, Russian FM Sergey Lavrov has said. 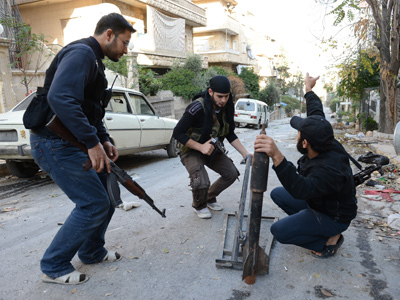 Syria is one of most hotly debated topics at an annual Security Conference taking place in Germany. 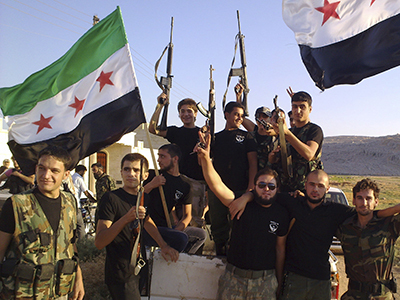 ­"Russia does not support the idea of a humanitarian corridor in Syria. Any use of military power is unacceptable, and not just because we still remember what it lead to in Libya," Lavrov said while addressing the Munich Security Conference. "We need to see the world the way it is. We need to recognize that military operations bring more chaos into the international matters and can send off waves of instability that will be impossible to hide from in any of what we may think as an island of security." Lavrov confirmed that the Syrian chemical weapons arsenal is under full control of the country's government, and poses no danger as long as it does not fall into the hands of the rebels. Such an event would be a “red line” nobody wishes to see crossed, he said. Despite the worsening situation in the region, peace is still within reach, Lavrov explained: "The war in Syria could be over if all sides stuck honestly and loyally to the principles of the June 30 Geneva conference." But US Vice President Joe Biden expressed a different view of how peace could be brought to Syria. "President Assad, a tyrant hellbent on clinging to power, is not longer fit to lead the Syrian people and must go," Biden said in his Munich speech. 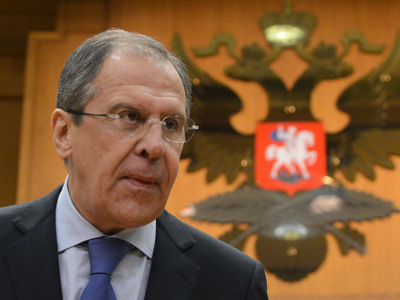 “Who of the leaders are legitimate, who is not?” Lavrov said. “When you can cooperate with the authoritarian regimes, whether secular or not, or when you can sponsor fights against them? In which cases do you recognize democratic choices of a nation or cut all ties with them? What criteria or standards do you use for that?" Lavrov also said that countries involved in brokering peace in the troubled region "could agree to support democratic reforms in countries on the path for changes, but not impose on them a whatever scale of values, accepting there exist multiple models for development." 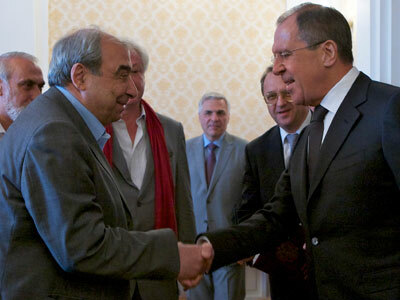 The Russian Foreign Minister has also met for the first time with Syrian opposition chief Moaz al-Khatib on the sidelines of the Munich Security Conference. The topic and nature of the talks were not disclosed. US Vice President Biden was also scheduled to meet with Lavrov and Khatib, and UN-Arab League envoy to Syria Lakhdar Brahimi in Munich, the White House said earlier. 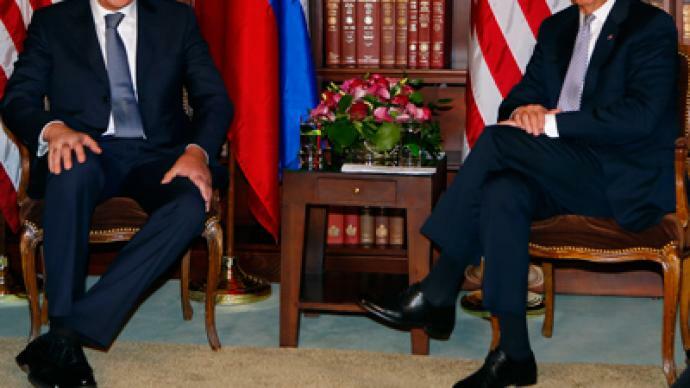 The meeting between Lavrov and al-Khatib did not include Biden or Brahimi, despite initial reports that suggested four-way talks might be held, as all four are in currently in Germany. The Syrian conflict has wracked the country since March of 2011, when thousands took to the streets to demand the resignation of Syrian President Bashar Al-Assad, whose family has been in power for decades. 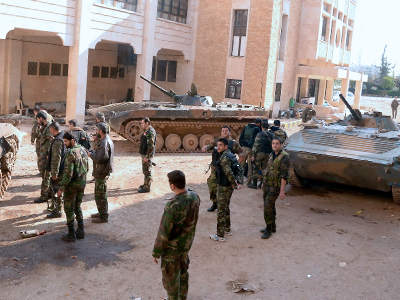 The country is currently embroiled in a full-scale civil war, with rebels and the army fighting for control of every town and refugees spilling across the country's borders. Assad has refused to step down, and said he is a legitimate leader who is fighting against a well-armed insurgency sponsored from abroad. The Munich Security Conference is an annual gathering of top security officials that focuses on issues surrounding European-Atlantic security, the situation in Syria and Mali, as well as non-proliferation and arms control.